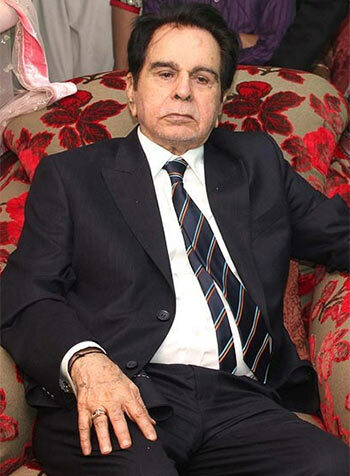 Veteran actor Dilip Kumar, who was recently admitted to a hospital for chest infection, is recuperating and will be discharged in the next three or four days, said the doctors treating him. "He has not had fever in the last 24 hours and his condition is much better now. There is also improvement in the lung infection and he is on the road to recovery. He will be going home in next three-four days," Dr Jalil Parkar, a well known Pulmonologist from Mumbai's Lilavati hospital, said. Parkar said that Kumar's investigation parameters like X-Ray and blood tests have proved improvement in his physical health. Parkar added that Kumar, 91, is being treated by a panel of doctors, including Dr Nitin Gokhale, a cardiologist, Dr Kirti Updadhyay, a nephrologist and Dr Vinay Chavan, a neurologist. The acting legend was admitted to the hospital on December 6, after complaining of breathlessness and cold. A team of doctors, on performing a check-up found out that he was suffering from a chest infection called bronchopneumonia. The actor had been hospitalised last September after he suffered a silent heart attack.